Opportunities for persons, businesses, institutions, and organizations to acquire "cultural capital". We work with budgets large and small. Simply leave us a message or e-mail. Recognized internationally as an experienced leader in higher education and the arts, Carole Lee is Executive Director of International Classical Music Initiatives and President of Arts Management Associates. A concert artist, teacher, and advocate for the fine arts, Dr. Lee's expertise includes events planning, program and project development, and fund-raising strategies. As pianist, she has performed widely as a recitalist and chamber musician throughout the United States, Europe, and Asia. At an early age, she made her professional debut with the Oakland Symphony Orchestra under Italian conductor Piero Bellugi. Dr. Lee received her undergraduate degree from the University of California, Berkeley, a Master of Arts from San Francisco State University, and Doctor of Musical Arts degree in Piano Performance from the College of Fine Arts, Boston University. As founding Dean of The Sarofim School of Fine Arts and Professor of Music at Southwestern University, she led the Departments of Music, Art, and Theatre through a period of unparalleled growth in the Texas institution’s 175-year history. Dr. Lee enjoyed a distinguished career in New England as Professor of Music and Chair of the Department of Music at Eastern Connecticut State University. A former member of the International Council of Fine Arts Deans, and President of the Texas Council of the Arts in Education, she has participated in national and international conferences and institutes such as the Harvard Management Institute on "Leading Institutional Transformation and Change". Carole Lee performs as a recitalist and chamber musician, and has participated in many international symposia on the arts. Throughout her career, she has given numerous masterclasses and worked with faculties at conservatories and universities in the US, Asia, Europe, and the Middle East. 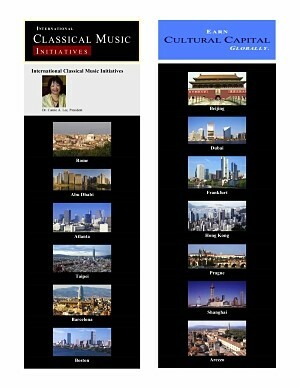 Dr. Carole Lee has been a visiting artist and scholar at the American Academy in Rome. She has served as a consultant to businesses, governments, arts organizations, performing ensembles, orchestras and festivals internationally, particularly in the areas of special projects and arts management.